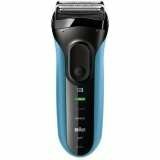 Smart Shaver Uses Braun's Smart Sonic technology to sense the density of your beard and adapt. Five shaving modes, from sensitive to turbo, personalize your shaving experience. Four specialized shaving elements capture more hair in one stroke fewer strokes and less irritation. 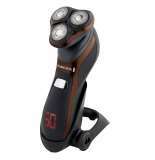 The Remington X system precision shaver puts closeness and comfort in the palm of your hands. 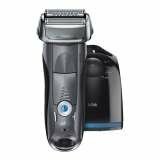 It is 3 independent heads that flex and adjust to facial contours this shaver lets you reach more difficult areas like the neck, chin and jaw line for an effortless, comfortable shave.